As a celebration of warmer days and shorter nights we put together a selection of paintings that will brighten anyones home in the lead up to Spring. Take a look and be inspired, Spring is just around the corner! Inspired by the works of Salvador Dali, Christian Carlini's work combines realism and the metaphysical in order to create surreal works of hypperrealism. 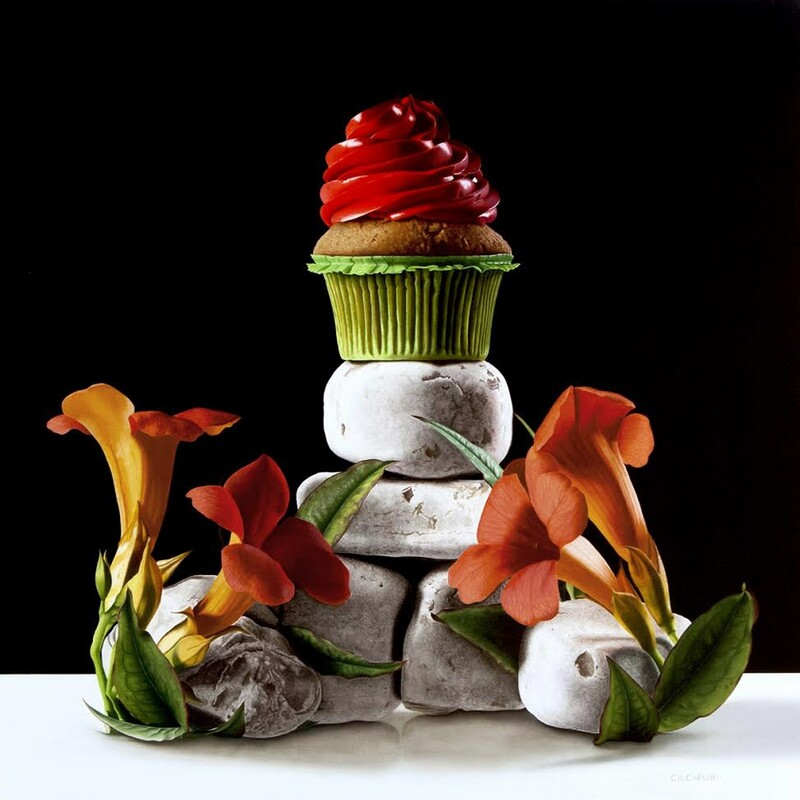 By creating senses that are impossible or unusual, Carlini exposes the power of hyperrealism. His works are bold and colourful and are always going to provide an interesting talking point. Antonio Castello's work is bold, graphic and colourful. Usually choosing one fruit, he creates large abstract compositions which explore the textures of the fruits he depicts through his close-up detailed perspective. These works are statement pieces and not for the timid, Castello seamlessly blends a classical technique of painting with a contemporary alternative approach. The result is a take on the world that is both fresh and timeless. 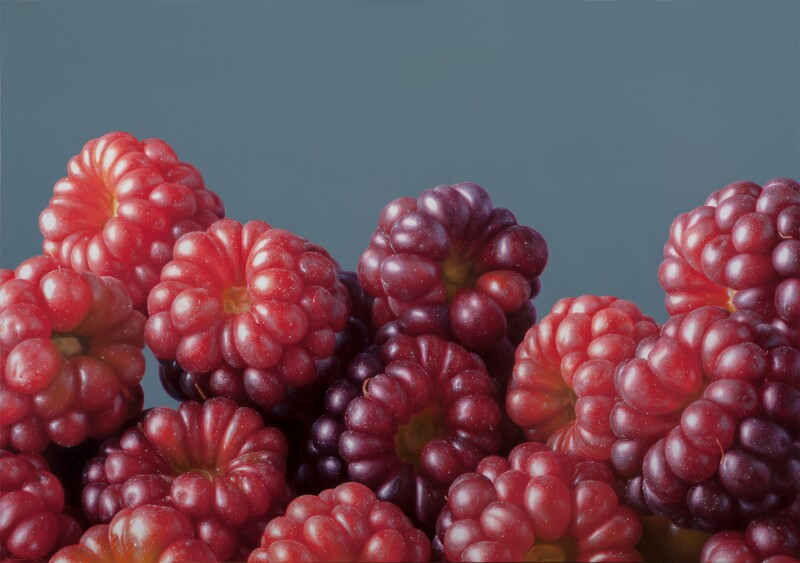 From Left: 'Raspberries', Oil on linen, 70 x 100 cm. 'Pineapples', Oil on linen, 97 x 195 cm. Kuhn's works created from scratch combine a mix of medias. These three- dimensional freeze-frames feature small "findings" and miniature figures often paying homage to famous artists such as Buren and Man Ray. His assemblages are framed as pictures and arranged in boxes like tiny stage sets or tableaux. Kuhn's works are unique, skilfully crafted and imaginative. 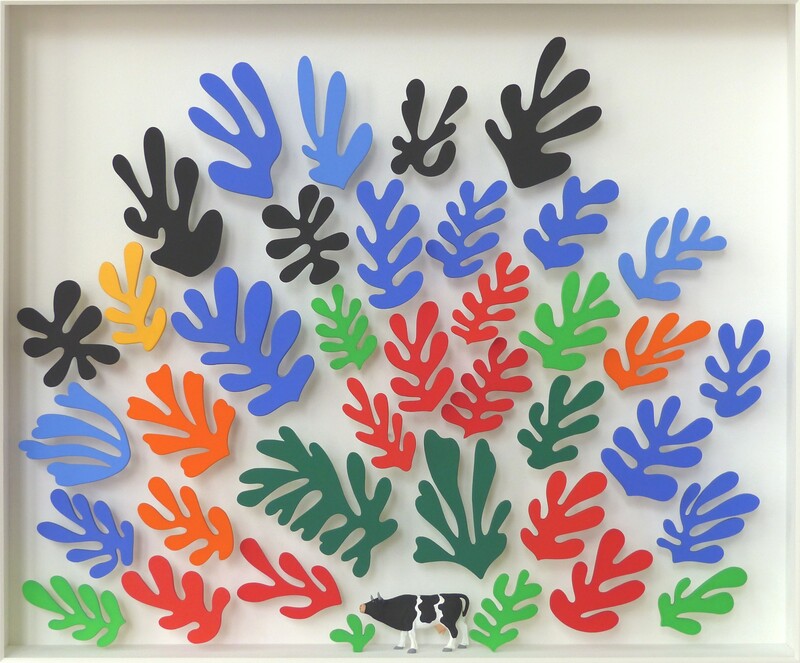 From Left: 'Homage to Matisse (little cow)', Mixed Media, 68 x 79 cm. 'The Garden of Buren', Mixed media, 61 x 51 cm. 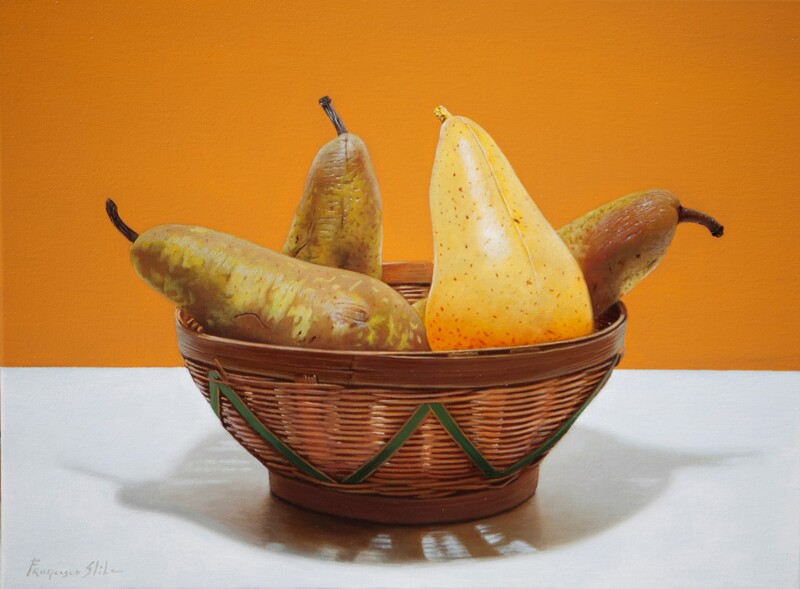 Featuring a variety of materials such as reflective surfaces, glass and pottery as well as silk cloths, fruits and cut- flowers; her paintings exemplify what it is to be a hyperrealist artist. Molinari’s work holds the quintessential characteristics of the traditional hyper-realistic painting, details are emphasised and intricate pictorial elements are added that, in reality, would not be seen by the human eye. 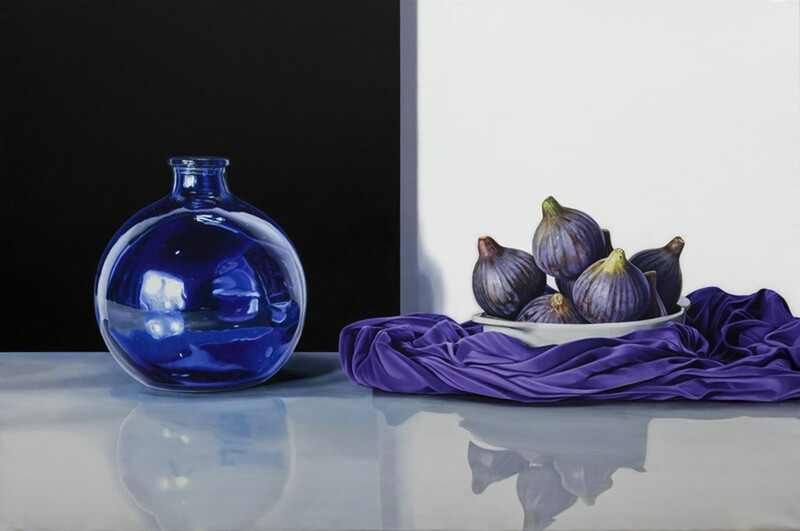 From Left: 'Eight Figs', Oil on canvas, 97 x 146 cm. 'The Visit', Oil on canvas, 97 x 146 cm. Born: 1942, Brooklyn, United States. Lives: New York City, United States. Ben Schonzeit is a pioneer in the SoHo art scene of the 1960s and one of the leaders of the American Photorealist movement of the 1970s. Better known for his paintings of bouquets, Schonzeit’s still lifes explore light, texture, scale and perspective much like his floral paintings do. He handles his compositions much like patterns with an importance on colour and shape and for that they look very graphic and modern in nature. 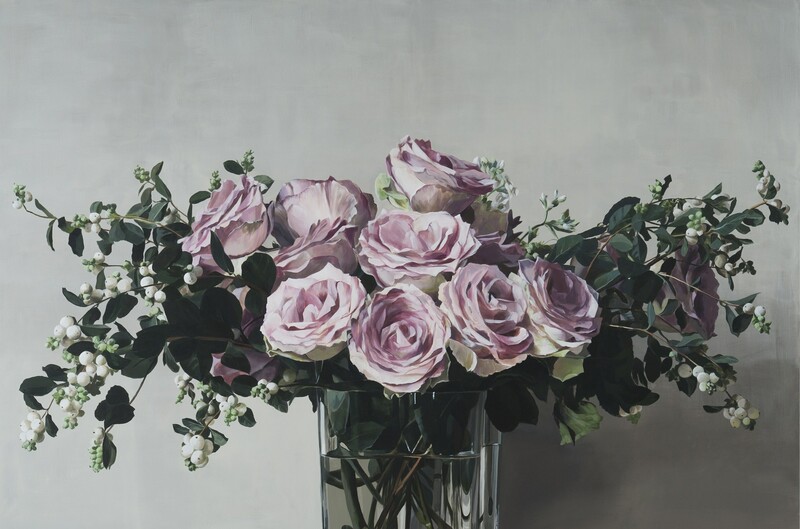 From Left: 'Dusky Rose', Acrylic on Linen, 183 x 213.4 cm. 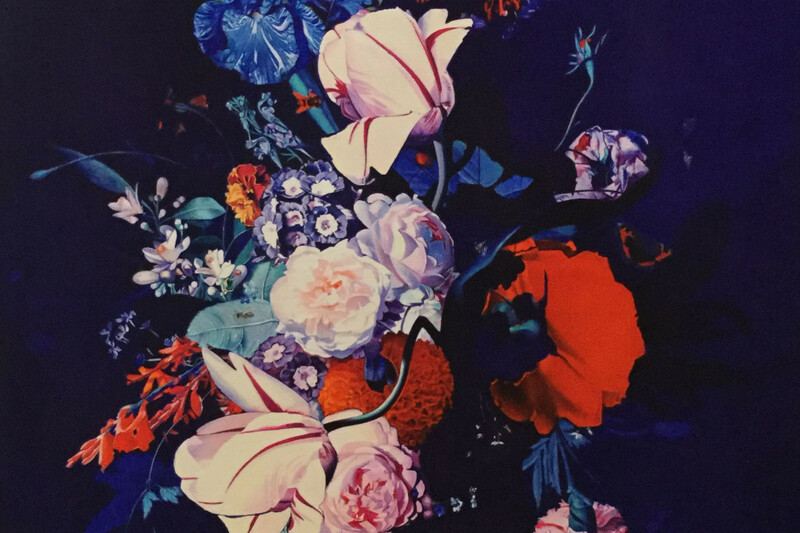 'Lake Placid Bouquet', Acrylic on Linen, 183 x 244 cm. Sarah Sibley is an artist that tries to uncover and explore the threshold of reality and illusion. She works obsessively to find balance in light, colour and scale in a quest for the illusion of perfection, compelled by her pursuit to recreate reality. Her new work, 'Flowers without Vase' gives the traditional still life a fresh, contemporary feel. 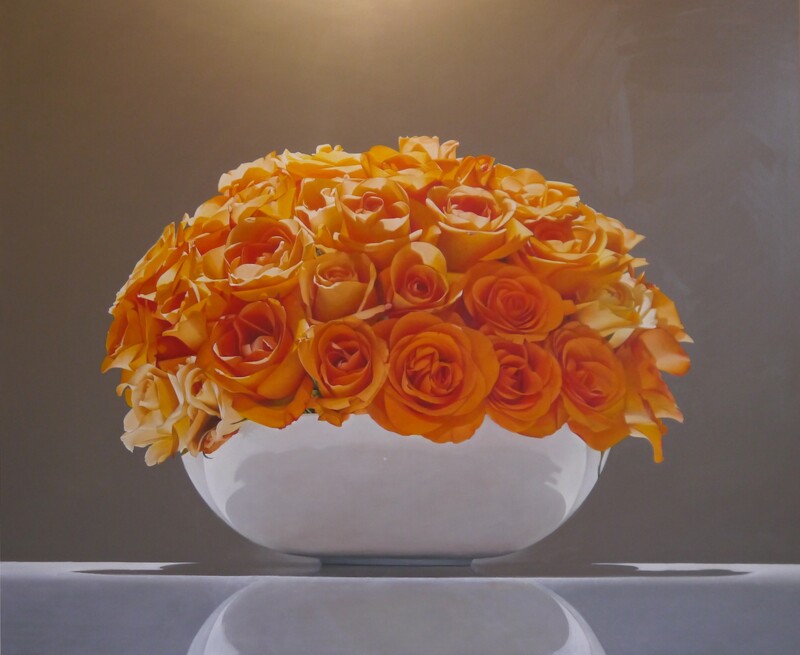 From Left: 'Orange Roses', Oil on linen, 100 x 120 cm. 'Red Roses', Oil on linen, 100 x 120 cm. Stiles timeless still life paintings are beautifully simple and explorative. Born into a family of painters, he grew up studying and copying the works of portrait-painter Carlo Roberto La Volpe, till the end of the nineties. It is with this wealth of background knowledge that Stile creates still lifes that are modern classics. From Left: 'L’integrazione', Oil on canvas, 30 x 40 cm. Pomi di Eva', Oil on canvas, 50 x 70 cm.